Today I had the opportunity to take a little solo adventure. 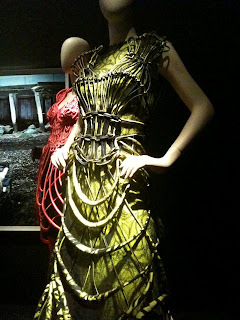 I began with a visit to the De Young to see the Jean Paul Gaultier exhibit. 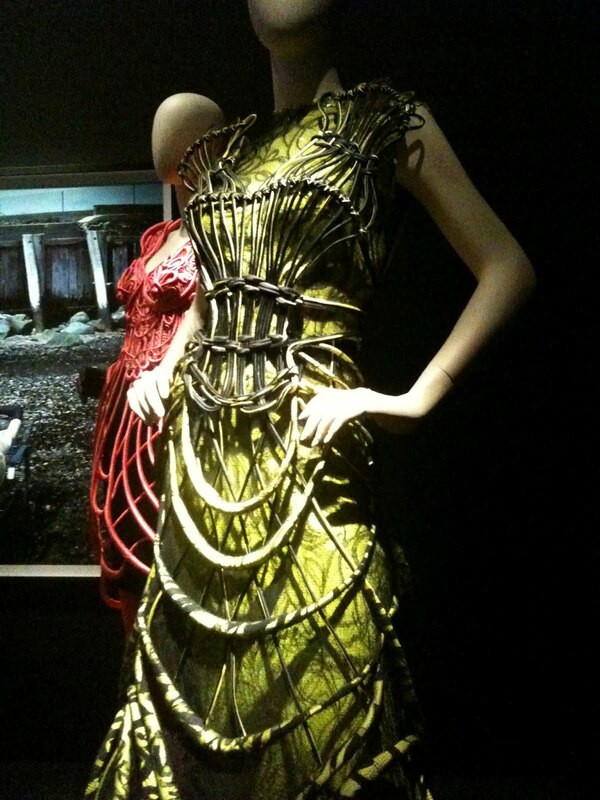 His creations are surreal, exquisite, and stretch and warp all the boundaries of convention. 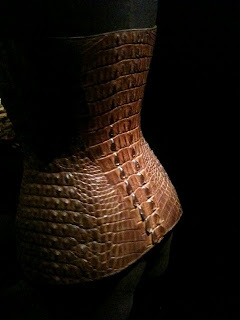 I especially loved the crocodile corset which looked like it fit like a second skin, a second very reptilean skin. Then there was the amazing white wedding dress composed of a white feather headdress, metallic majorly beaded bodice, and extravagant skirt. And the green room gown with corset overlay. These are clothes I want in my closet! 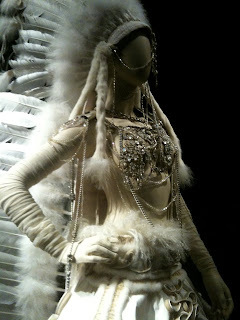 The detailing was extravagant, richly textured, and outrageous. 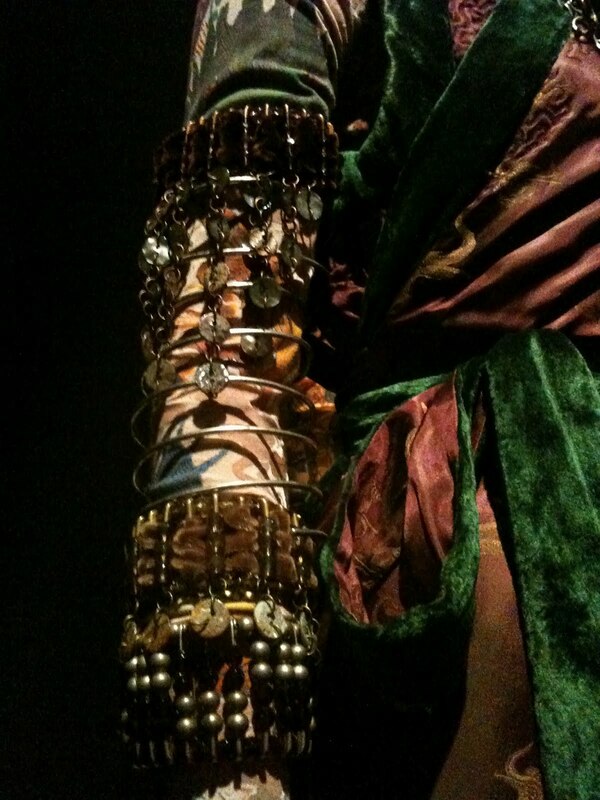 I want to wear jewelry and decoration like that every day. However, I suppose doing so means choosing carefully what constitutes painting attire! 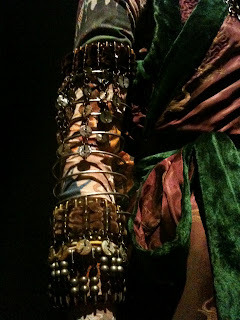 Now my mind is swirling thinking about how I might alter items I have to add a similar rich level of detailing. How I might decorate or enhance or mix and match. I love being inspired! !